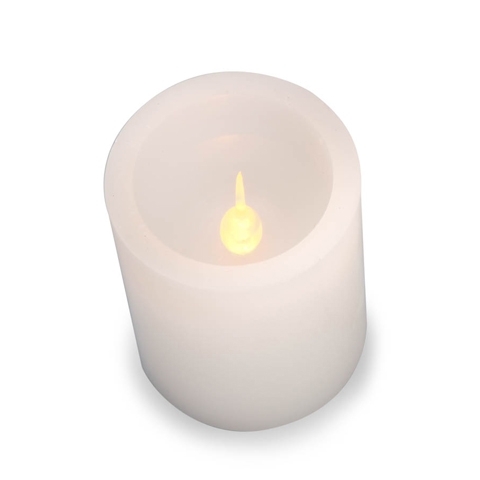 LED Pillar Candle ,White ,6 inches - Ability to switch colors! Choose from solid or rotating colors. Switch to ON for yellow flickering light. Press the black button on the bottom of the candle to get rotating colors or one of these solid colors: Blue, Green, Purple, Red, Turquoise, Yellow.